Open Road Media, 9781624672460, 240pp. There is nothing more dangerous than a spooked rhinoceros. It is just before lunchtime when Huey, the prized black rhino of Broussard, Louisiana, erupts from his enclosure, trampling a zoo employee on his way to a rampage in the Cajun countryside. The incident makes the rounds online as News of the Weird, and Katherine Fontenot is laughing along with the rest of her New York office when she notices the name of the hurt zookeeper: Karen-Anne Castille--her sister. Fifty years old, lonely, and in danger of being laid off, Katherine has spent decades trying to ignore her Louisiana roots. Forced home by Karen-Anne's accident, she remembers everything about the bayou that she wanted to escape: the heat, the mosquitoes, and the constant, crushing embrace of family. But when forced to confront the ghosts of her past, she discovers that escape might never have been necessary. 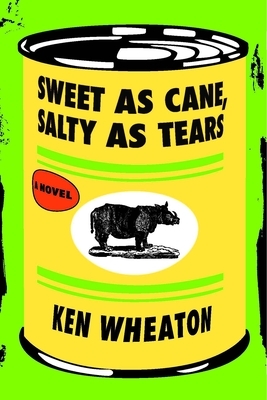 Ken Wheaton was born in Opelousas, Louisiana, in 1973. Raised Catholic and Cajun, Wheaton aspired to one day be a navy pilot but was sidelined by bad eyesight and poor math skills. He graduated from Opelousas Catholic School in 1991 and went off to Southampton College-Long Island University in Southampton, New York, intending to study marine biology. An excess of drinking and (again) a dearth of math skills led him to become an English major. From there he returned to Louisiana, where he received an MA in creative writing from the University of Southwestern Louisiana (now University of Louisiana-Lafayette). Wheaton is the author of The First Annual Grand Prairie Rabbit Festival and Bacon and Egg Man, and is the managing editor of the trade publication Advertising Age. A Louisiana native, he lives in Brooklyn, New York.Said Dave Barry of Wheaton's second novel: "I had several drinks with the author at a party, and based on that experience, I would rank this novel right up there with anything by Marcel Proust."